Hot chili and a backflip, Phnom Penh. A woman sells toys and balloons along the riverfront in Kampot, Cambodia. A woman carries bricks atop her head at a construction site in Mandalay, Myanmar. Eladio Pop shields himself from a downpour with a banana leaf, on his farm in Toledo District, Belize. 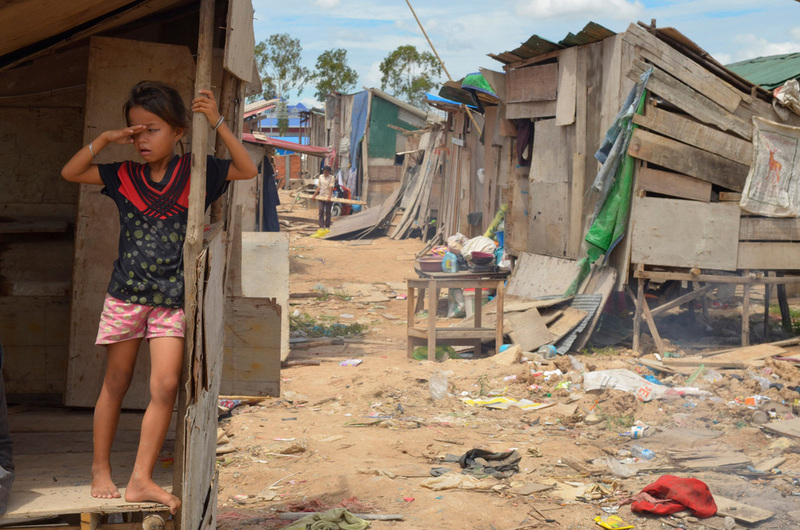 Scavenging atop the massive dump that receives most of the refuse from Siem Reap, Cambodia. Siem Reap is the gateway to the Angkor Archaeological Park, one of Asia's greatest attractions. Washing dishes in the Brahmaputra River, Guwahati, India. Tao Lee squats next to a clutch of American cluster bombs in southern Laos. Romana Goncalves, 43, is comforted by two of her six children as she slowly dies of a uterine tumor at her home in Dili, Timor Leste. She did not have the $2,000 needed for an operation to help her. Closing time at a Yangon restaurant in the new cellphone era. Boys pull in a fishing net on the Tonle Sap lake in Cambodia. Tea in Tibet, left, and an orphanage in Siem Reap, Cambodia. On the Yangon - Mandalay train. Garment factory worker, Phnom Penh. Hauling water in the early morning mists of West Bengal, India. 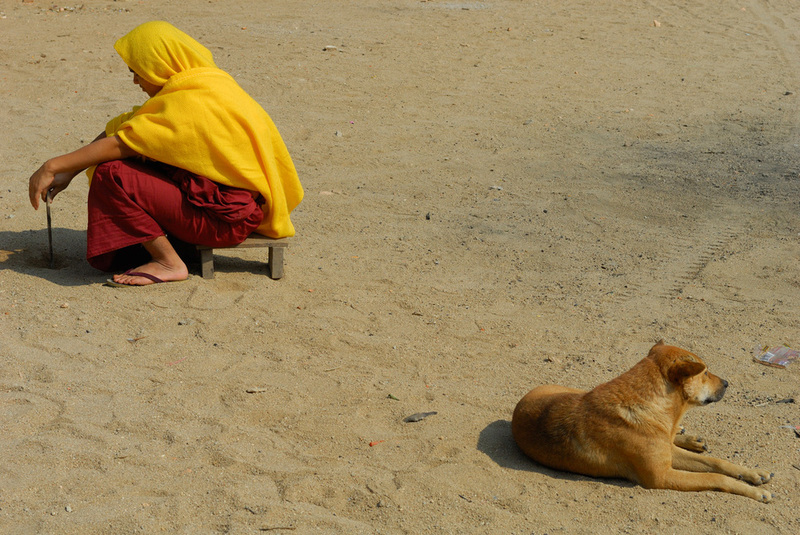 Buddhist monk and street dog in Keng Tung, Myanmar.